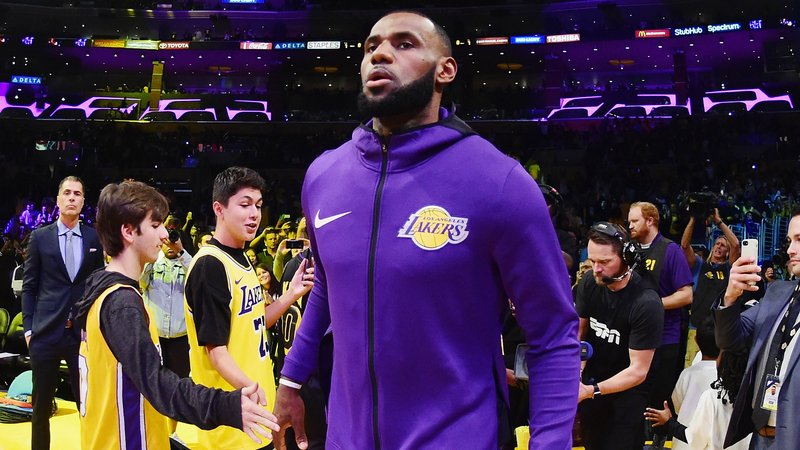 Luc Longley applauded LeBron James and his bravery after swapping the Cleveland Cavaliers for the Los Angeles Lakers, a move the three-time NBA champion "totally" understands. James led the Cavaliers to their first championship in 2016 and four successive NBA Finals – Cleveland losing out to the Golden State Warriors on three occasions – in his second spell at Quicken Loans Arena. Meanwhile, the Lakers – the most storied and glamorous franchise in the league – have not featured in the playoffs since 2012-13, however 33-year-old superstar James opted to head to Los Angeles as a free agent. The Lakers have made a slow start even with James on the court following three consecutive losses but former Chicago Bulls center Longley – who played alongside Hall of Famer Michael Jordan during the team's three-peat from 1996 to 1998 – believes the stars will align in LA thanks to the three-time champion and four-time MVP. "I think if anyone can, LeBron can," Australian Longley told Omnisport. "I think it's a great storyline to watch.